If you have really want a promotion, but you don’t seem to be able to get one you may need to address the relationship you have with your boss. Instead of blaming them why not look at making your boss your partner in your promotion and create career advancement solutions that work. Sure, your boss is a busy person and is busy making the department work. Let’s face it, it is their job to ensure that your area is managed well. If it isn’t then the success of the company is at risk. Keeping this in mind, your boss might not be aware that you want a promotion, and if they do they might not realize what you have to offer in this new position. You don’t want your career advancement solutions spoiled because you are being left out of your own career making solutions, do you? Many managers looking for a promotion incorrectly assume that employers already have someone in mind when they advertise the job. In some cases, managers believe that the job has already been filled, and that the interview process is just a formality. These opinions are often wrong. According to a recent survey published on CareerBuilder of over 1,500 hiring managers, just under half, 48 percent of the employers surveyed reported struggling to find candidates to fill vacancies. To make sure that you are front of mind when the next promotion comes up, create a dynamic relationship with your boss. Rather than following directives and only speaking to your boss when spoken to why not open up other avenues of dialogue with your boss? 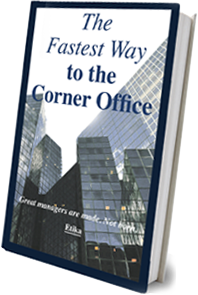 Your boss is a person just like you, and they started out just like – low in the pecking order. And, that’s okay because that’s how most company structures work. Get to know your boss a bit better, and you’ll be able to understand them more. Find out what sport or music they like. Find out if they have children and a family. You may find that you have more in common with your boss than you realized despite an age gap. Now you are not on a fact finding mission, let’s make that clear. Partnerships are based on sharing information, ideals and goals. With this in mind, make sure you share little bits of information about yourself. Look for things you might have in common with your boss, and bring them up whenever you can. Once you are more familiar with your boss open up to them about what your goals are. Sharing your promotion goals with your boss is a great way to ensure that you are included in on the career promotion network. Once you have a friendly relationship you will begin to see your boss in a new light. 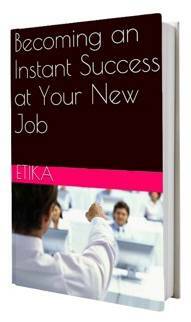 They will no longer be that one person who is stopping you from getting the promotion you want. They are no longer stopping you, or side stepping you. Instead your boss may even come that one important person who is on your side, cheering for you and supporting your career advancement. 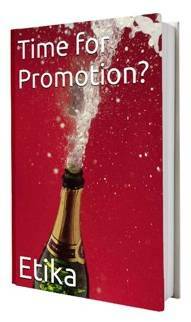 If things haven’t gone well for you in the past in regards to promotions, then it’s time you opened up and found out why. This can be difficult for a lot of people so remember you are not alone. If your boss has warmed to you more, and knows what you want it is easier for them to help you because they know you better. Think about it for a second. It is harder to speak to a stranger about a delicate subject than someone you know, right? Working with your boss instead of against them is a great way to make sure that you are both on the same page. The position needs to be filled, and preferably by someone who is good at their job, reliable and easy to work with. That’s you, isn’t it? If you are looking for a promotion in your company take a look at the way you are working, and your attitude. Don’t make your boss your enemy by being resentful. Instead, build a relationship that is founded on trust and clarity. When you are seeking your next promotion, work alongside your boss as you would any partner, and if you expect different results you will see them.